if you were unimaginative would take you only a minute." By the way, the play, ‘Steal Away Home’, was recently performed with an aboriginal cast singing my songs. I met one of the lead actors, Shiralee Hood, at the recent Koorie Heritage Trust benefit I sang at and, in the dressing room, Shiralee burst into one of my songs. It was like I was hearing it for the first time. I suggested to her that she translate them into the Koorie language and I hope she does. I’d like to see more interest in this country in learning the indigenous languages. Of course, there are over 5000 dialects so we got a bit of catching up to do. THE DREAM CONTINUED . . .
“We are still marching. Not just here, in the United States, but all over the world. Just ask voters in Iran and Afghanistan. There is still work to be done. So, we keep on marching. I have always been fascinated by the march -- the simple act of walking peacefully, yet very intentionally, in solidarity. It is surprisingly powerful (or, at least, I am often surprised by its power). 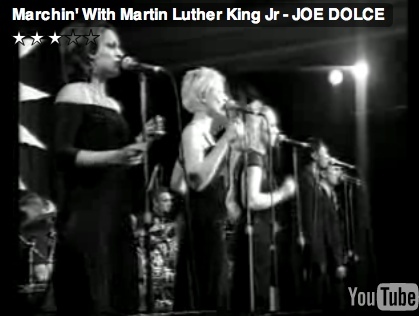 This is the subject of this week's featured artist, Joe Dolce, in his song, Marchin' with Martin Luther King, Jr. We're marching, "but still have a little ways to go." One of the things that I love about this song is that it remains optimistic in the power of the march. Unlike Ben Harper's How Many Miles Must we March? (and just for the record, I love Ben Harper), which rings of frustration, Marchin' with MLK speaks of our collective power: "We'll walk together... we won't get weary." I have participated in a number of marches in my lifetime. But, I cannot even begin to imagine what was on the line in Montgomery and the cities that followed. But, one ingredient that I believe was key to the success of those marches (and any other march) was peace. In those days, before the daily bus boycotts... before the marches... before the speeches... Dr. King invited the people to pray with him. They prayed to be strong, but to remain resolute in their peacefulness. 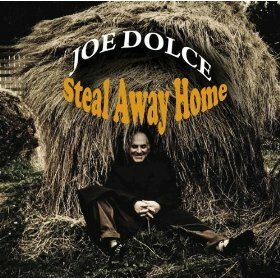 I invite you to listen to Joe's song. 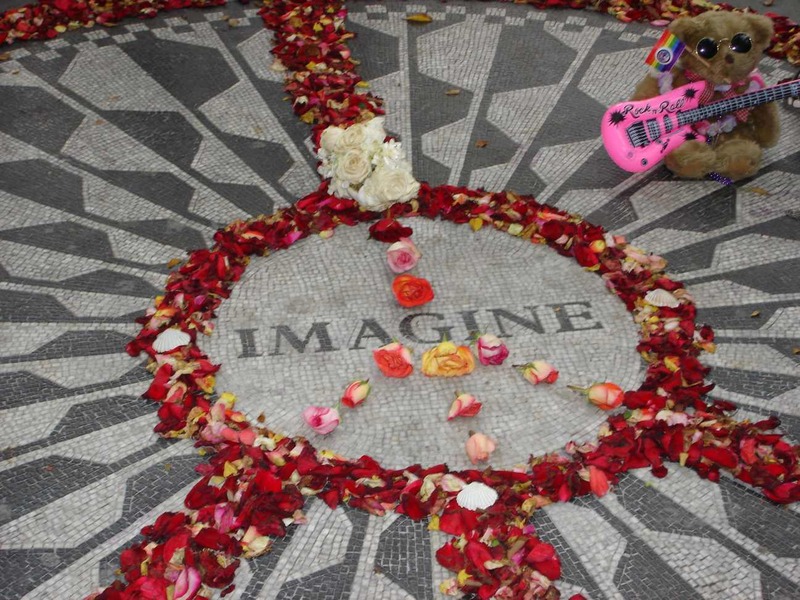 Listen to the words: "Marchin' with some forgiveness in my heart, so healing can come." Nice hat. And how apt is your opening quote. BUT not fair to Crowded House - two hits? Dunno the stats but Better be Home Soon, Chocolate Cake, Fall at Your Feet, Four Seasons in One Day, It's Only Natural, Weather with You are just a few forever engraved on my brain, and while I admire CH can't claim to be a devotee. Harper Lee - ‘To Kill a Mockingbird.’ Granted. It's all she had in her, apparently. But, J.D. Salinger - ‘Catcher in the Rye’ - What!? "Franny & Zooey", "Raise High the Roof Beam, Carpenters" & the short stories count for naught? Shocking. Several years ago I had the good fortune to be watching your appearance on the Nine network’s Today program. You sang what I understood to be a literal rendition of a poem by Constantine Cavafy. From memory I believed the name to be ‘When The Lips Touch Skin,’ although in the years since I have come to believe that I must have got the name wrong because I simply have not been able to track down a Cavafy poem with that name, and what I have found hasn’t spoken to me in the way you did when you combined his words with your music and voice. I remember feeling gobsmacked. I’d not heard anything of you since ‘Shaddap You Face’ and was quite simply not prepared for what I heard. I remember the performance as a moving and emotional milestone; a signpost in my life if you like. One of the things I look back on - realising that things were somehow different afterwards. Apart from the beauty of it all, it revived my interest in poetry, but frustratinly has yet to lead me to the souce of the piece you sang. I appreciate that you don’t know me and owe me nothing, but the gift of your time would be so appreciated. I’d be very grateful if you would help me with two things. First, I would like to buy a copy of THAT song – the one you sang on the Today program. Second, I would like to now the name of the original poem and what collection (if any) that it belongs to. If you are unable to do either, thanks anyway – the memory alone is priceless. That performance reminded me to keep an open mind and find joy in the unexpected. I was so pleased to discover that the little ‘Italian’ guy really could sing and every chance I get I tell people about it. With thanks, Steve Farmer, Capalaba, Q.
' . . . things were somehow different afterwards.’ I don’t get this kind of feedback that often and especially in this area of poetry and music. So thank you and I am grateful that you took the time to tell me. An English teacher I worked with, from Canada, once encouraged me, when I said I wished I had finished school, that it was never too late, that- ‘all real teaching is done personally, deeply and mutually.’ The poem you remember was called ‘Return’ and it was translated from the Greek by Rae Dalven. 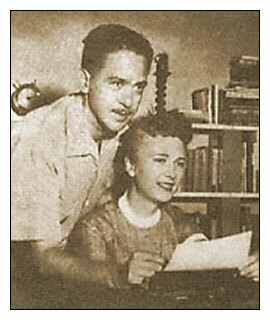 Rae was a New York professor - and a woman. All the contemporary translations of Cavafy have been done by men. Perhaps this is why I love her interpretations the best, although harder to find. Her sensibility somehow matched his. I set the poem to music in 1971 and have been performing the song for 38 years. It is the first real ‘keeper’ that I ever created. I repeat one line in ‘Return’ as a kind of chorus: ‘. . . when the lips and the skin remember.’ This is also the title of a complete fourteen poem songcycle I composed of Cavafy’s poems about 15 years ago. This work has yet to be recorded but I have transcribed the music so I guess that is a kind of recording. A piece of paper was JS Bach’s recording studio so I guess it’s good enough for me. You are a truly legendary singer. Your song ‘Shaddap You Face’ has become a true classic. Could you please send me an Autographed Photograph of yourself. It would be forever treasured and displayed in my Legends of Music Museum. Thank you very kindly, Allen B. ,Ontario, Canada. Just can't think of anything to add to your fabulous artist / movie mashups right now, but whilst netsurfing this morning, found this trailer - Must Love Jaws. . .
Voyage to the Bottom of the Sea – with Walter Pidgeon. By Irwin Allen. I vaguely remember this film from my youth. I knew it wasn’t the faithful Jules Verne adaptation I love but I’m a big fan of Walter Pidgeon (from ‘Forbidden Planet’ - the scientist father who created the Id monster) - and also Peter Lorre was in it. Frankie Avalon, too – singing the lead theme song. (Ok – that wasn’t a big selling point.) Well, I started watching this about midnight and the film kind of tread water, not really doing much – that is until the appearance of the rubber giant squid, at which point I turned off the light and went to sleep. I rate this film: 5 sheep. The Shield – US series 1. Created by Shawn Ryan. With Michael Chiklis, Catherine Dent, Walton Goggins. I ’m a bit late getting to this one – as there are 7 seasons out now - but now I’m in and it is pretty compelling. One of the writers is Kurt Sutter, the creator of ‘Sons of Anarchy.’ The story of an inner-city Los Angeles police precinct where some of the cops aren't above breaking the rules or working against their associates to both keep the streets safe and their self-interests intact. Mimsy Were the Borogoves – by Lewis Padgett (a pseudonym of Henry Kuttner and C.L. Moore.) This is the sci-fi short story that the movie ‘The Last Mimzy’ was based on. Sort of. The story was originally published in the February 1943 issue of Astounding Science Fiction Magazine. The short story suggests that the words to ‘Jabberwocky’, by Lewis Carroll, were actually a coded time-space equation sent back into the past, via futuristic toys, to educate children young enough to grasp its meaning – before they became narrowed by Euclidian logic. The toys fall into the hands of young Alice Liddell, who unfortunately is now too old to understand the message but she sings the gibberish-like words to her uncle Charles Dodgson (better known by the pseudonym of Lewis Carroll) who puts them into a book. Later, in the 1940s, two other much younger children hear the words to ‘Jabberwocky’ and decipher the code and are taken into the future. The movie variation, The Last Mimzy’, involves futuristic toys as well but their purpose is to bring back a sample of DNA from the past to help rejuvenate the degenerate DNA of the future. The children supply this, via their tears at the lost of their toys, but do not go into the future when the toys are summoned back. Personally, I dug both of these inter-related tales and they both help to expand the other and deepen the authors intent. When I was in my twenties, I was influenced by many famous guitar players, from Jeck Beck, to Jimi Hendrix, to Albert King. But a little known guitarist, who also had an enormous impact on my style was a guy from Cleveland named Glenn Swartz. Swartz was in a band called The James Gang, and later, The Pacific Gas and Electric Company, on the West Coast. As many of you know, my last album was titled ‘The Wind Cries Mary,’ and it wasn’t only Hendrix that planted that seed – Glenn Swartz did a ripper version of this song live. I think he’s the one that showed me that someone other than Hendrix could actually play this song well. In those days, Glenn was influenced by Albert King and a lot of King’s style is evident there. He was also always rebuilding his guitar, with his own pickups and other add-ons. I saw one show where the rhythm guitarist in the James Gang, my friend Bill Jeric, a big muscular guy, picked Glenn up while he was in the middle of a solo and held him with both arms extended high above his head. Then he set him down on the stage, on his back, and started covering him up with road cases and drum boxes. Glenn was under all this furniture still wailing away. He didn’t miss a note. You couldn’t see him but you could hear him. But when Swartz moved to the West Coast, he went even more psychedelic with the band, PG&E and he began to be influenced more by the ethereal blues-style of Jeff Beck. Q: Who is Glenn Schwartz? A. Glenn Schwartz is perhaps the greatest living electric guitarist. Q: Where can I see Glenn Schwartz perform? A. Before January 22, 2009, Glenn performed every Thursday at Major Hooples from about 9:30 pm until 1 am. **THERE WAS NO COVER CHARGE TO SEE HIS SHOWS HERE** However, he no longer plays that gig. If you appreciate fantastic guitar playing, it was probably be the BEST free show you would ever have seen. He sometimes plays gigs at the Beachland Ballroom . Glenn performs in Cleveland, Ohio. Q: Are there "rules of etiquette" when seeing Glenn perform? 2. Don't request ANY songs by ANY other performers. If Glenn wants to play a Dylan piece (or other cover), he will. 3. Don't stand up front if you are completely loaded or if you are drinking. He will pick up on this and RIDE you. Worst of all, by riding you, Glenn will have displaced his artistic energy into preaching energy and the set will quickly end. BAD for all of us. 4. Do NOT treat the show like a rock concert. It is not. Glenn is not a rock star. The above "rules" are not "rules" per se, BUT, if followed, those who came to hear a master craftsman, artist and musician perform the most intense and beautiful guitarwork on earth will probably be rewarded with a few unforgettable hours of music. For those people who are looking for a good night to go out, get loaded and mix it up with "the crazy old blues guitarist," save everybody time, energy and aggravation. Go somewhere where that type of behavior is accepted. There's nothing cool, intelligent, or funny about getting in a shouting match with Glenn. It's happened countless times and EVERYONE LOSES. Q: What type of music does Glenn Schwartz perform? A: The easiest answer to this question is "the blues." However, Glenn is really the playing the same type of music that was played by John Coltrane, The Grateful Dead (during their most intense improvisations), Sonny Sharrock, and other musicians who are able to transcend what we hear as "music" and enlighten the listener in ways not provided by most musicians or bands. Q: What type of band does Glenn Schwartz play with? A: He plays in a trio format. His bassist (98% of the time) is his brother, Gene Schwartz. His drummer (most of the time) is Paul O'Brien. Paul became the full time drummer sometime in 2004 or so. Prior to that, Eric (Brother) McFadden was the drummer since at least 1998. On very rare occasions Brother McFadden's brother will play bass. The trio configuration with BOTH McFaddens is simply known as "Doppel McFadden." It is a rare treat to witness this trio. Q: What type of gear does Glenn Schwartz use? A: (contributed by Ryan Elliott): Glenn plays out of a 1980’s (maybe 1983) Fender Quad Reverb Tube Amplifier. He uses no stompboxes or pedal effects – the only thing being a little black cube he installed into his guitars (similar to a Black Ice overdrive). The cube I believe contains at least one diode to give the guitar tone a combination of crunch/drive/fuzz. Glenn activates the drive cube with a switch he installed on his guitars. 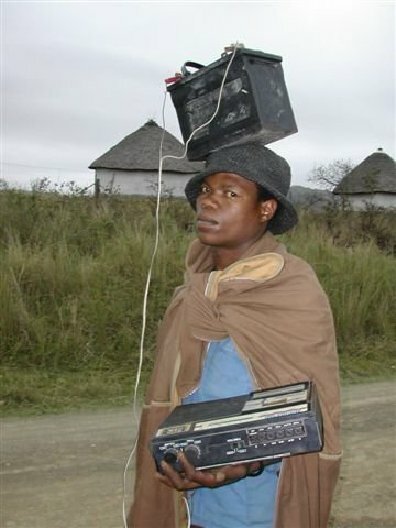 When the switch is off, he just plays straight thru his amp. When on, the cube interrupts the signal sent from Glenn’s guitar pickup (each of Glenn’s main guitars only have one pickup) to the output of the guitar. Q: What's up with those "other" strings that Glenn has strung on a few of his guitars? Are they "sympathetic" strings that vibrate and enhance his sound? A: According to Glenn, he was building those guitars and thought that "those strings belonged there." They have no sonic use and serve only a visual purpose. This is what Glenn told me about 7 years ago when I asked him. Ryan Elliott, another fan and friend of Glenn's offers the following answer to this question: "The extra 4 strings on Glenn’s guitars are there because the Bible says somewhere that if you praise God on stringed instruments, they must have 10 strings. Or something of that nature. Glenn told me this..." Ryan also adds: "At least one of Glenn’s guitars was given to him by the Hell’s Angels." A: Glenn may be what certain sectors of the American public may call "crazy." Hence, he sometimes fasts for days on end. He reads the bible for hours at a time. He abhors the "sinful" lifestyle of "late great America," AND he has no problem preaching about all that bothers him between songs at his gigs. Sometimes he lets his emotions get the best of him and he says things that would could be deemed offensive to audience members. Glenn does not live in the world in which most of us live. His standards of what are acceptable run contrary to most people. Q: Does Glenn Schwartz take requests at his shows? Q: Does Glenn Schwartz play cover tunes? A: Yes and no. Occasionally he'll do snippets of a very old traditional piece like "Nobody's Fault but Mine" or "This Little Light of Mine" but he won't do a Hendrix tune or other "rock" cover. He does, on occasion, quote from Dylan's "Slow Train Coming" album over some jams, but generally avoids secular covers. To get a good idea of what Glenn is currently playing, check out the SETLISTS page. Q: Does Glenn Schwartz still play songs from the All Saved Freak band repertoire? A: Thankfully, the answer is YES! Glenn still plays "Ode to Glenn Schwartz (promises, promises)", "Children of the Day", "My Poor Generation" and a few other tunes. IMHO, these are the best and most interesting songs that Glenn whips out. It's a good night when Glenn will play a few of these. Q: What did Glenn Schwartz do before playing his regular gig at Hooples? Q: Is it true that Glenn Schwartz was almost in the Allman Brothers Band? 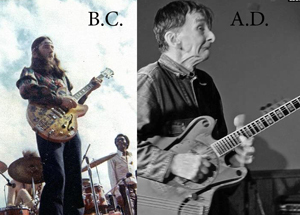 A: Kind of.....Ryan Elliott adds: "Glenn was asked in 1969 by DUANE ALLMAN to be the second guitarist in the Allman Bros. before they asked Dicky Betts. This was right when PG&E had taken off, so Glenn turned it down." Q: Does Glenn like any other guitarists? A: (contributed by Ryan Elliott) Glenn’s favorite guitar player / best he’s ever heard is Jeff Beck. He also believes Joe Walsh is the best slide guitarist out there. Q: Is Glenn approachable at his shows? A: He's most approachable if you are not drinking, if you do not swear, and if you speak intelligently and most importantly HUMBLY to him. Likewise, he likes to discuss his version of religion and its place in this "wicked world." Remember, Glenn is not an "ordinary person" so he can not relate to (nor does he care about) most "normal people's" cares and concerns (sports, fun, money, etc..). Q: Why is there a Glenn Schwartz page & FAQ? Mario's Cafe in Warren Street London, do a big breakfast for 10.00 pounds. Eat it all in 20 mins with no drink to wash it down with and you get it free. 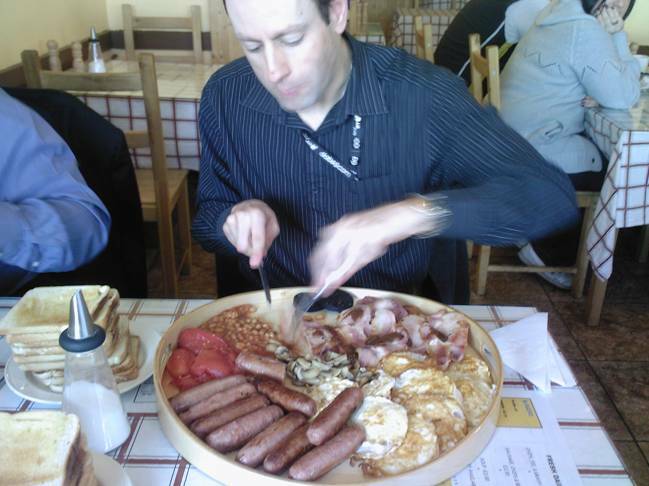 It's 10 eggs, 10 bacon, 10 sausage, 10 toast, 5 black puddings, tomatoes, beans and mushrooms. No Chips. No drinks!!! 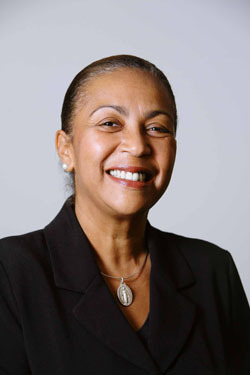 As an undergraduate at the Institut National d’Administration, de Gestion et de Haute, she received a bachelor’s degree in Accounting and Administration. Mrs. Dolce also holds an advanced degree from the Center for Financial, Economics and Banking studies in Paris, France. She graduated from that institution with honors in Development Management. Food For The Poor, the largest international relief and development organization in the United States, serves the poor of the Caribbean, Latin America and the U.S. Food For The Poor provides food, emergency relief assistance, clean water, medicines, educational materials, basic housing, support for orphans and the aged, skills training and micro-enterprise development assistance. More than 96 percent of all donations received go toward programs that help the poor. I originally learned this recipe off the internet and it is supposed to be served hot but I have tweaked it and re-named it revenge as I have found it a dish best served cold. In fact, I was tempted to throw it out after eating a few pieces – that’s how disappointed I was in the result - but my partner Lin liked it and suggested I wait till later in the day and try it cold. About 9 pm, while watching the new Star Trek, I opened a beer, grabbed a couple pieces of ribs, some crackle and a plateful of large green Queen-sized olives and . . . man, what a difference! It was incredible. So this is the way I suggest having it. Of course, you can have it hot from the oven as well but make sure you prepare enough to have later and don’t forget those olives. The slightly bitter and chocolaty flavour of the ribs, with the savoury astringent olives, creates a totally unique taste combination that’s a thrill on the buds and really grows on you. And keep that beer handy. In a small bowl, put the cocoa powder, chili, clove, ginger, garlic, and kosher salt. Mix them together with a fork. Set the bowl aside for a minute while you grab the meat. Place the pork ribs in a large bowl. Drizzle on the olive oil and toss the meat to coat. Pour the spice rub into the bowl and over the ribs. Mix well with your hands to coat the ribs with the spice rub. 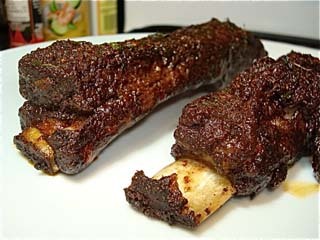 Take the ribs out of the bowl, giving them a little shake to knock off any excess spice. Lay them out on your pan. Drizzle over a little olive oil. Sprinkle the ribs with finely chopped parsley and chili flakes. Slide the pan into the oven and bake for about 1 hour at 350 degrees. Serve hot from the pan, with an optional sweet mole sauce if you like. But I prefer to let them get cold and have them later with the large green olives and crackle like a tapas. Note: I scored the pork skins that I removed from the ribs and drizzled some olive oil and a little salt over them and roasted some nice crackle to go with the ribs. Just keep an eye on them as they burn quickly. It is difficult to find dried ancho chillies in Australia and impossible to find ancho chili powder so here is how I made my own. You can find the dried whole chillies at Spanish or Mexican groceries. Take two or three dried ancho chillies and remove the stems. Leave the seeds. Chop the chillies into half inch pieces. Put them in a blender and blend for a couple of minutes until they are finely chopped. Place them in a large fry pan and roast on the stove top until they are dry. Crush in a mortal and pestle, with a little salt, until a powder is forms and then put through a strainer or sieve, separating the fine powder from the coarse bits. Grind the coarse bits some more and repeat until you get enough powder for the recipe. You can store the remainder covered. An old white-haired man walked into a jewelry store one Friday evening with a beautiful young gal at his side. He told the jeweler he was looking for a special ring for his girlfriend. The jeweler looked through his stock and brought out a $5,000 ring. The old man said, "No, I'd like to see something more special." At that statement, the jeweler went to his special stock and brought another ring over. "Here's a stunning ring at only $40,000' the jeweler said. The young lady's eyes sparkled and her whole body trembled with excitement. The old man, seeing this, said, "We'll take it." The jeweler asked how payment would be made and the old man stated, "By check. I know you need to make sure my check is good, so I'll write it now and you can call the bank Monday to verify the funds. I'll pick the ring up Monday afternoon." he said. Monday morning, the jeweler phoned the old man. "There's no money in that account!" "I know," said the old man. "'But let me tell you about my weekend!"